It’s that time again for the 5 Star Makeover sponsored by Natasha and Lazaro. This month they have chosen Butternut Squash as our challenge. 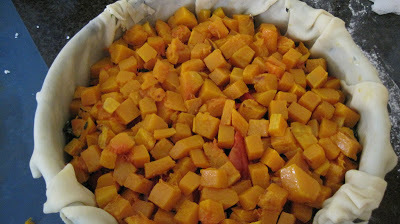 Butternut Squash (shown above) is a vegetable we have in our home all the time. Weighing in at about 2-3 pounds, this cylindrical winter squash looks somewhat like a very large pear, approximately 8 to 10 inches long, and 3 to 5 inches wide. The exterior has a tough, yet smooth camel colored skin; the flesh is sweet and orange. The majority of time I prepare it simply by cutting it into cubes (you can view my demonstration video here), tossed lightly with olive oil and roasting it in a 425F degree oven for 20-30 minutes until it’s caramelized. 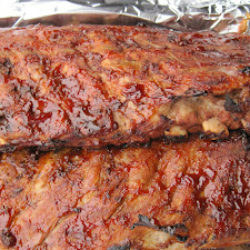 However, it can also be baked, steamed, simmered or even tossed in a pan and placed on the grill. 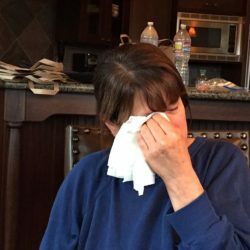 When I first read about the October challenge I thought up numerous recipes, but decided on a recipe I frequently prepare for family, guests or luncheons that everyone raves about. With Butternut Squash at it’s peak this time of year, I used that in place of portobello mushrooms (which I typically use) for a savory layered vegetable torte. My other dish is called a Torta Rustica, mainly because it’s put together free form style, while my Vegetable Torte is neatly layered in a springform pan – considerably easier to prepare, and teach to the world. 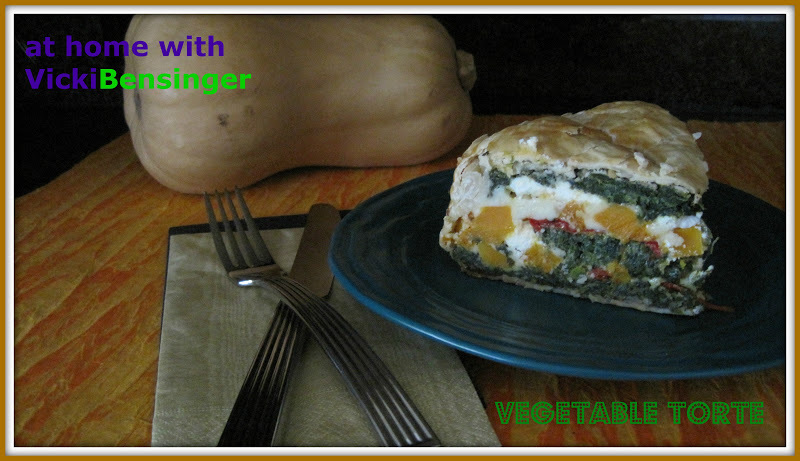 If you’re a fan of vegetables you will love this recipe. Although it has several steps, it’s quite simple to assemble, and can be made days ahead, then hours before serving, simply remove from the refrigerator and allow to reach room temperature. Of course, you can prepare it and serve it hot the same day. Feel free to substitute with veggies of your choice, or if you like, add ground beef, sausage, bacon, etc. to the mix. 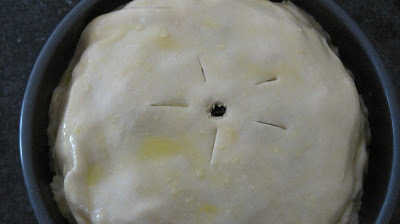 I made it easy on myself and used a Pillsbury Pie Crust, easy and always delicious, in lieu of making my own this time. I hope you enjoy it. 2. Mise en Place all ingredients, this will make the prep work that much easier. 3. Roast the Red Peppers, peel skins and slice into 1/4 inch strips (if preferred you can purchase jarred - then slice) Set aside. 4. Roast Butternut Squash in 425F degree oven for 20-30 minutes until soft. Remove from oven, Set aside and allow to cool. 5. Saute butter and shallot together in a saute' pan, remove from heat and add spinach, nutmeg, eggs and Parmesan cheese. 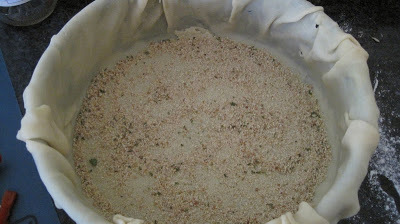 approximately 1/4 cup bread crumbs or just enough to soak moisture - but not dry. Blend all together. 6. Using a 10" Springform pan dot bottom center with non-stick spray, line bottom of pan with circle of parchment, then spray interior, sides and bottom of pan. 7. Take one roll of Pillsbury Pie dough from box and roll out dough approximately into a 15" round with additional overhang all the way around. 13. Repeat layers adding, 1/3 spinach, 1/2 Roasted Red Peppers, 1/2 Butternut Squash, 1/2 each of Fontina and Goat Cheese, final 1/3 of Spinach mixture. 14. 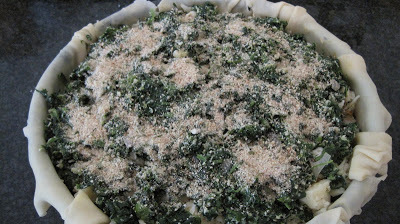 Top with 1/4 to 1/2 cup of bread crumbs, then pulling the remaining dough over the spinach and bread crumbs. 15. Remove second roll of dough from box and roll into large circle enough to cover top of pan with 1 1/2 inch overhang all the way around. 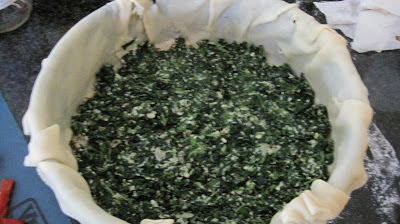 Lay dough over top and gently tuck remaining dough into outer edges of pan, being careful not to tear dough. 16. Cut hole in the center and 5 slits around the hole for venting. 17. Taking 1 egg with a bit of water whisk and brush over dough (egg wash). 18. Bake for 1 hour or until the crust is a deep golden color. Remove from oven and allow to cool for about 15 minutes. 19. Remove sides of Springform pan and gently flip over (placing plate over top) and remove bottom and parchment. Flip right side up and set on serving platter. Note: If making ahead leave in springform pan. When ready to serve, follow above directions and then display on platter. I hope you try it. This didn’t last long in my house. Vicky, this is simply exquisite! I love all the colors, textures and flavors in your torte. I make a lasagna in a springform pan that looks similar to this but I’ve never made a Vegetable Torte. It’s definitely a WOW dish and would be wonderful for guests! Thanks for sharing this heirloom recipe! This is gorgeous! I am definitely adding this to my potluck must make list! Thank you. It made us hungry that’s why it didn’t last long. Oh, this would be a bit hit around here. Love all that spinach in there. Great addition to the challenge Vicki! Feel free to add whatever you like but the 3 main ingredients went very well together. It was a huge hit in my home. Vicki , that pie looks delicious ! Love the flavor and texture in this dish ! Your savory cake look divine! 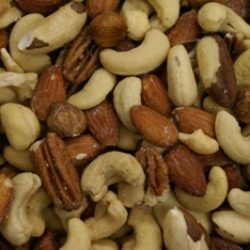 I love the recipe and it is just perfect for this time of the year! Thank you for sharing and have a lovely week! Thank you for your comment and I hope you have a wonderful week as well. 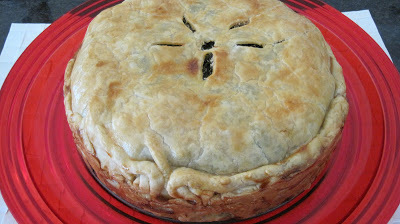 There’s almost nothing I love better than a savory pie and yours made me drool. And butternut is my favorite of all the squash varieties. Nice job, Vicki. Thanks Joan, it’s so good. I loved your recipe as well. Thanks for the tip Angela, I’ll have to check it out. Thanks for stopping by. It had us all drooling too – that’s why the torte was gone by the next day! What a gorgeous veggie torte, Vicki!!! Full of such wonderful flavors! Thanks Liz, it was delicious and colorful! Anything with a pie crust is normally ‘against my religion’, but this looks absolutely delicious and addicitve AND it can be made ahead of time, which always scores big points as far as I am concerned 🙂 ! Am certain friends will appreciate me getting off my ‘nutritionist stool’!! We eat very healthy as well although I do have quite the sweet tooth. 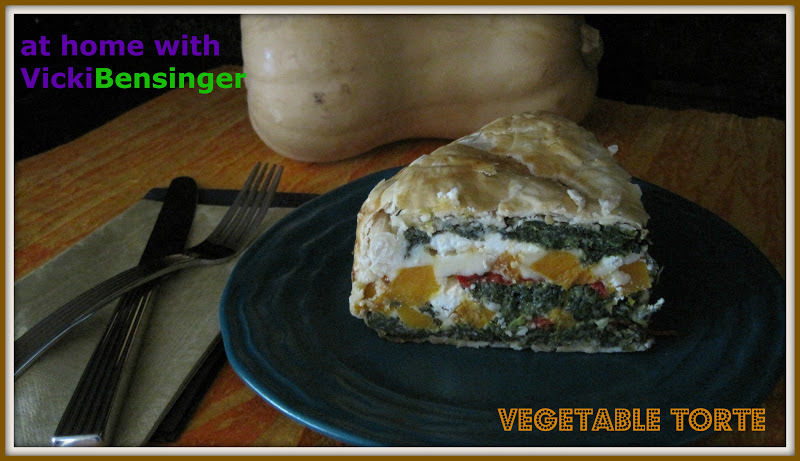 Look at it this way – in spite of the pie crust the rest is veggies with protein (cheese)! It really is quite delicious! This pie is absolutely stunning, Vicki. I love all the veggies in there, plus the combo of cheese you used. I would be happy to have this beauty on my Thanksgiving table! It would be delicious on a Thanksgiving table. In fact if you made it in a square or rectangular springform pan you could cut pieces into squares to serve as a side dish. Great idea Faith, I may have to actually do that. It would make a wonderful side. I know what you mean. It’s hard to cut into certain dishes that look so stunning! I have a hard time doing that as well but then again, if I don’t, I’ll never know what it tastes like. Your torte looks delicious, very colorful, and I like that you used goat cheese and fontina. Thanks Natasha, the combination of the two cheeses was nice. Thank you so much for your comment. It’s a great dish, I hope you’ll try it. Oh you should try it, it’s delicious and great for company. What a great looking dish! 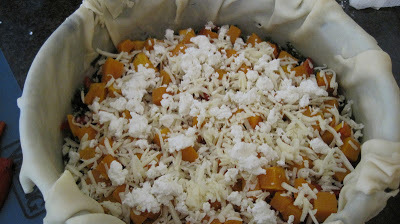 I have yet to use butternut squash this year for some reason (too much other stuff to cook!) 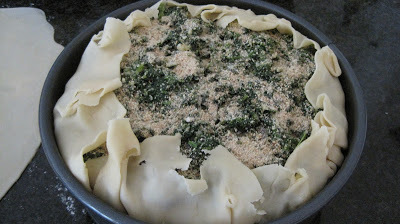 I have a ton of Swiss chard still growing, so I’d probably substitute that for the spinach. And it’s good to hear the Pillsbury pie dough is decent – we’ve never used one. Really nice dish. Thank you. Oh wow we have butternut squash all the time it’s our favorite. 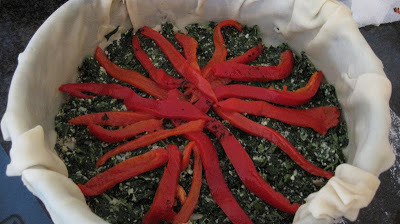 Swiss Chard would be great in this, just be sure to squeeze it dry after rinsing and chopping. As for the Pillsbury dough I think it’s perfectly fine. I mean if you have a killer pie crust you may want to use that but this works out just fine and it’s quick. This looks awesome and that combination of goat cheese with spinach, red capsicum and butternut squash is just delightful! As much as I love red meat, I would love a huge dose of this! 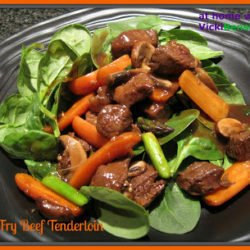 It is delicious and even if you like red meat you could always serve this as a side. Oh my gosh, that looks beautiful and delicious, Vicki. BTW, made the maple roasted carrots and parnips recently – loved them! I’m so glad to hear your family liked them. We thought they were delicious as well and different from what we usually have. We tend to eat the same veggies a lot because everyone has their favorites so as the cook, I aim to please! These savory pies never stay arounf for long. It reminds me of a “pasqualina”. Yours looks fantastic. This is a fabulous version of a layered torte. I love how distinct each layer is when you’ve cut into it! This looks amazing…I love all the layers and combination of flavors!Great job! LOVE butternut squash—and all of the other veggies you have in this pretty torte! This would be great for Thanksgiving!! This indeed looks a well layered torte. 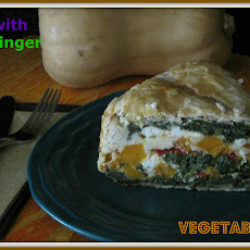 Using spring form pan is a good idea but I am not sure if I can make this with a gluten free pie dough. 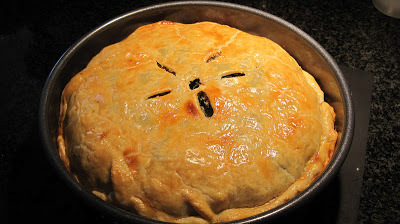 Today I made a small torte with pills bury pie crust for my daughter’s school lunch and it was wonderful. Thanks for sharing the link. What a beautiful and dramatic veg-centric dish. Any guests seeing that come to the table would no doubt be salivating.